2005 - Lowkey day. Foul mood. Hit the gym around 8:30. 2004 - Half-price Burger Night at Health Bar with Ashley and Ex#4. 2003 - Go to Alegria from 11PM-8AM. 2001 - Friend Angel visits from NYC. Take him to Nation. Meet Brian from Chicago. 2000 - First (and last) trip to Atlanta. Stay at Days Inn downtown. Go out to The Heretic and Backstreet. 1998 - Pick up Ex#3 at airport from Vegas trip. 1997 - Friend Al visits. Go to Mr. Henry's for dinner, then to Remington's. 1994 - 75 degrees today! Beach Trip meeting in Arlene's dorm room at 10. 1993- Endorse student loan checks to Shenandoah. Watch "Ragtime" in Ex#2's dorm room. 1992 - Rehearsal for "Last of the Red Hot Lovers" with Paige. Hang out with "Marine Matt" until Ex#2 finishes play project. 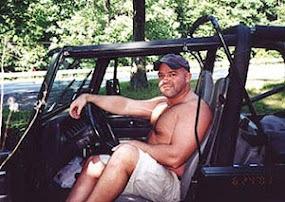 1991 - Drive cousin Jeff back to naval base at Patuxant, MD. 1990 - Go to Scampy's nightclub with Gail and Angie. 1989 - Friend Tyler visits me in DC. Go dancing at Dakota. 1988 - Get new brakes at Midas. Unusually hot today - 85 degrees. 1984 - See Pirates of Penzance with best friend Dave. 1983 - Term paper due in 11th grade history class.